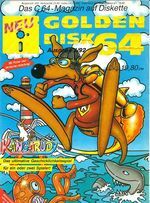 The special editions of the C64 disk magazine "Magic Disk 64" from the CP Verlag (Computer Publications GmbH) were at first released irregulary under the name "Golden Disk 64" or "Magic Disk 64 Sonderausgabe" starting at the beginning of 1988. 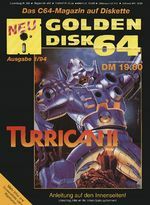 The magazine disk was wrapped and sealed in a "Golden Disk 64" envelope with cardboard and available at the kiosk. 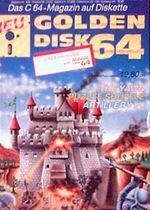 At first, the main focus lay on programming and applications. 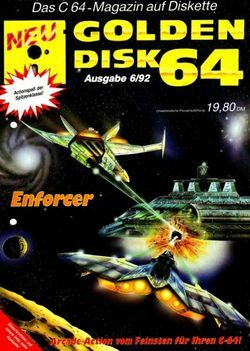 The disk had a menu system with corresponding background music, where programs were explained and could be started Furthermore all courses, tips and tricks were only shown digitally on the monitor and could be printed if needed. 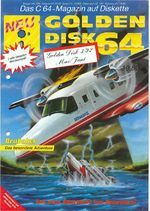 However, a mere game disk magazine for the Commodore 64 became of it from 1990 until the beginning of 1996, which presented high quality games concerning sound and graphics every two months, amongst others low budget versions of famous computer games. 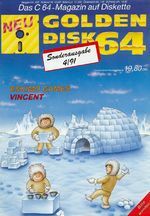 This page was last modified on 25 February 2015, at 05:46.